Dior’s creative director, Raf Simons, has just announced his upcoming collaboration with artist Sterling Ruby on his new menswear collection, which will be shown in Paris on January 15th. Big deal, right? 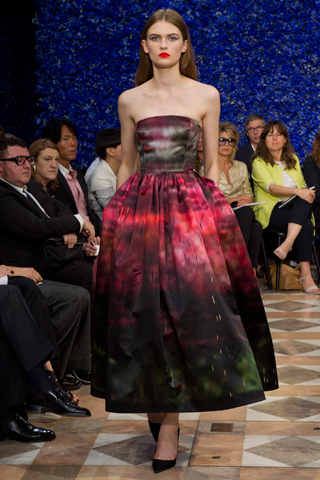 The two have worked together previously on the interior of the Raf Simons store in Tokyo, and a number of motifs from Simons’ first couture show for Dior were drawn from Ruby’s paintings. 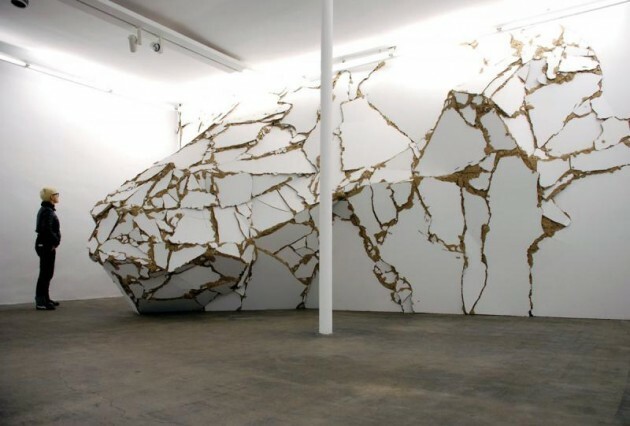 And artist-designer collaborations are so commonplace these days that it takes something completely out-of-the-box to turn heads. 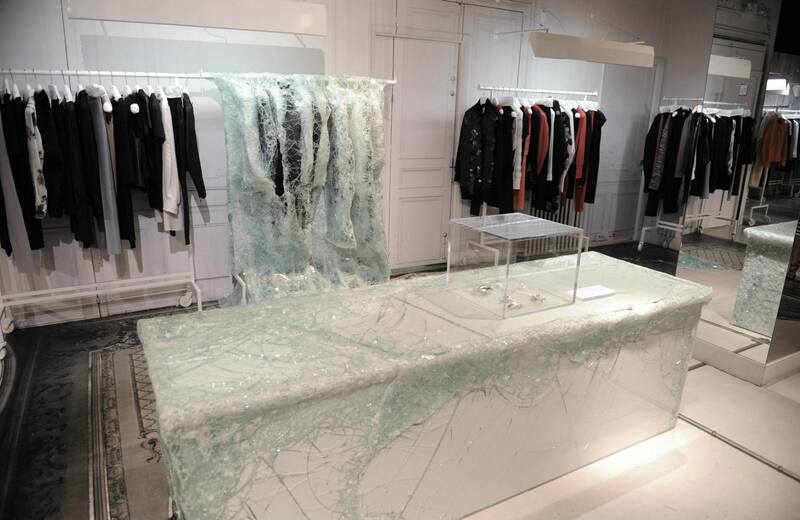 Well, leave it to Raf Simons to do just that. “For one season, the brand ‘Raf Simons’ will not exist,” the designer has confirmed, meaning that every single article of clothing and accessory that will be sent down the runway is entirely the product of joint decision-making. 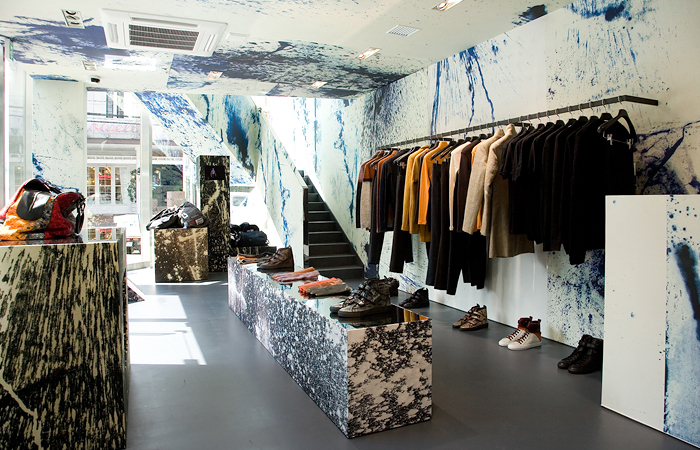 In fact, the one-off collection will be known as the Raf Simons/Sterling Ruby collection. Simons challenged himself to find solutions to every concept Ruby ideated, so as to not restrict the artist’s creativity. 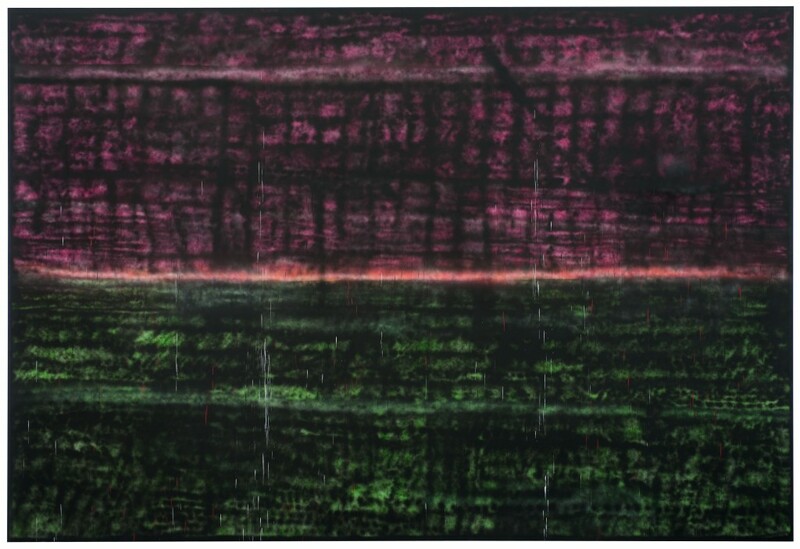 And Ruby, who recently had begun incorporating textiles into his work, proved a capable accomplice based on a deep understanding of process and construction with those materials. Congratulations, Raf, on what will likely be the most anticipated collection of the New Year. I, for one, cannot wait. 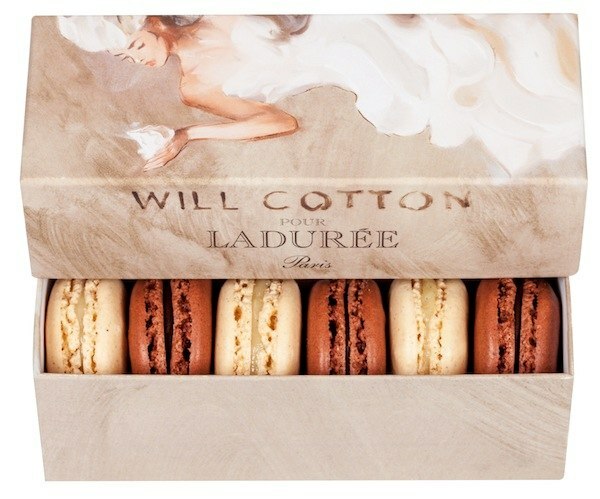 Maison Ladurée engaged in its first artistic collaboration with Will Cotton. An obvious choice, the desert-loving artist designed a limited-edition box to house an equally limited-edition macaroon flavor: ginger-infused whipped cream. The artist collaborated on the flavor with Philippe Andrieu, Ladurée’s pastry chef, whom he had met originally in 2005 when he visited Andrieu in Paris to learn about macaroon baking to get inspiration for a painting he was working on. The two bonded over the fact that they had never encountered a ginger macaroon that tasted like real ginger, and thus, they challenged themselves to become the first. The box features the artist’s go-to muse, singer Hannah Cohen, wearing a whipped-cream dress. The boxes debuted at Art Basel Miami Beach earlier this week, where they can be purchased at the confectioner’s new boutique. Or, if you are dying to get your hands on this mouth-watering flavor, pick one up at Parisian boutique collete’s pop-up Art Drive-Thru, a collaboration with Miami boutique Alchemist. 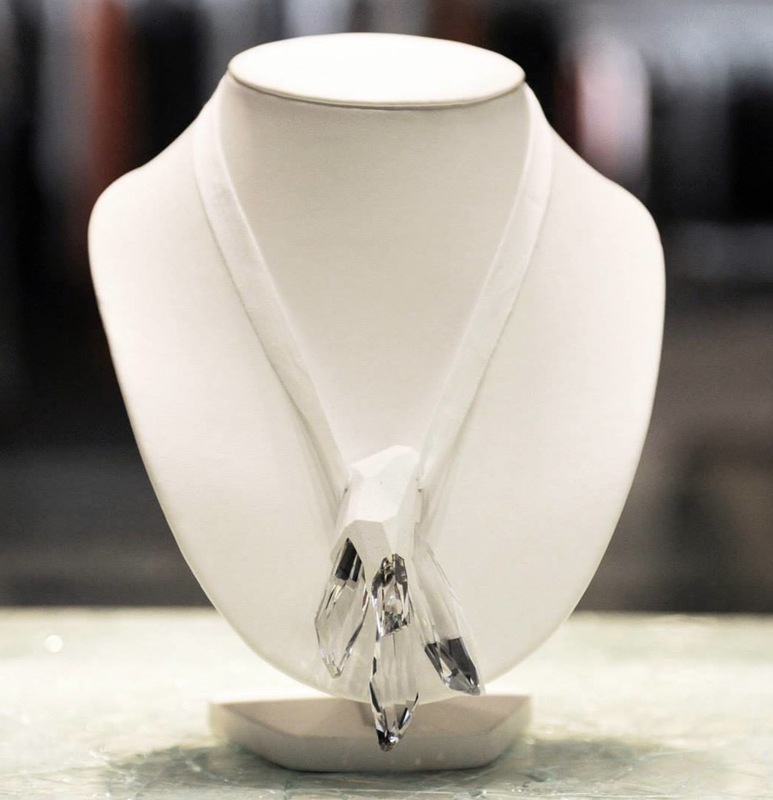 Inspired by a retro mid-century drive-thru, customers have to indeed drive up to the window to purchase special, limited-edition merchandise, including pieces from Zaha Hadid’s jewelry line, works by Snarkitecture, and winter accessories by Thom Browne. Open only from December 2-8, be sure to stop by if you are in town. The collaborative box features Cotton’s muse—singer Hannah Cohen, wearing a whipped-cream dress. Madewell and online auction house Paddle8 have joined forces on a project to benefit Miami’s Bass Museum of Art in celebration of Art Basel Miami Beach. Three female artists—Donna Chung, Denise Kupferschmidt and Caris Reid—were tapped to create 10 unique designs each to cover Madewell’s signature leather “Transport” tote. Kupferschmidt, whose practice features highly-stylized compositions in the mediums of drawing, painting and sculpture, opted to hand-paint each bag with sleek, geometric and rather minimalist patterns in her signature black-and-white. Reid also hand-painted his bags with palm trees atop a black-and-white checkered background, while Chung collaged each bag with three-dimensional found objects. Madewell featured one of each bag in the windows of their Miami store on Lincoln Road today in order to entice Art Basel shoppers. The bags are for sale on Paddle8 here, and proceeds will support The Bass Museum Programming. Now go shop for a cause! Art Basel Miami Beach is the penultimate conversion of art and fashion—an excessive week of non-stop parties where every luxury brand fights for attendance at their own celebration of and interplay with art and design. So while I am a bit behind in my coverage of this whirlwind of art-meets-fashion occurences, I hope to play a little catch up over the next few days. 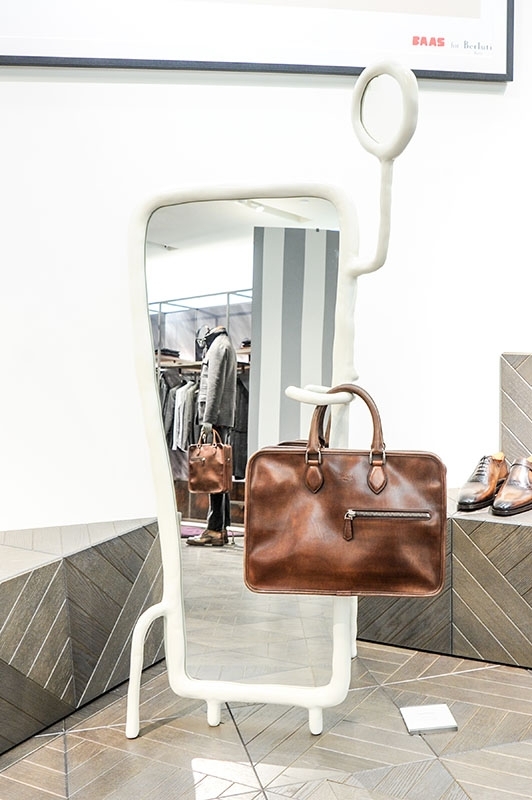 First up: Berluti, the Parisian luxury menswear brand, which unveiled four sculptures by Dutch artist Maarten Baas at a cocktail event on Tuesday evening at their new Design District boutique. 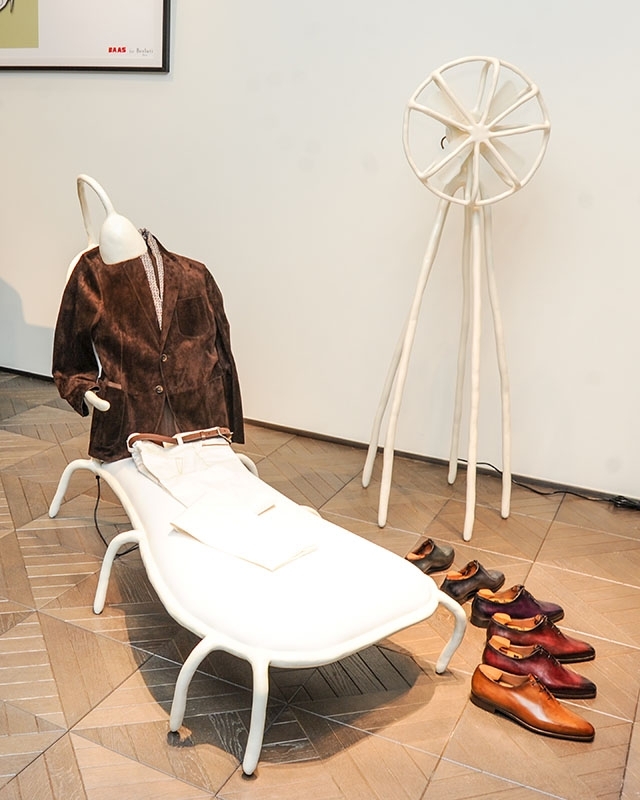 The unique artworks included a chaise lounge, valet, and two mirrors—classic pieces of furniture that were playfully reinterpreted using the artist’s signature hand-modeled clay technique. 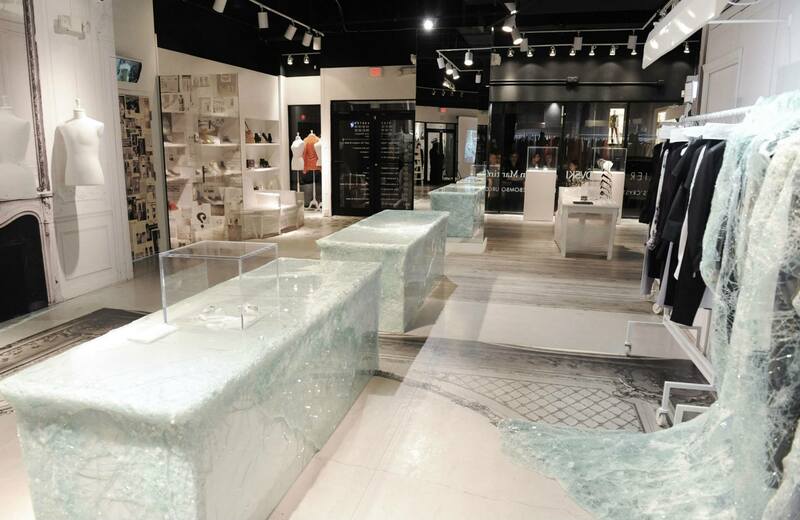 They were displayed casually in the boutique, strewn with Berluti clothing and shoes as if in someone’s house. 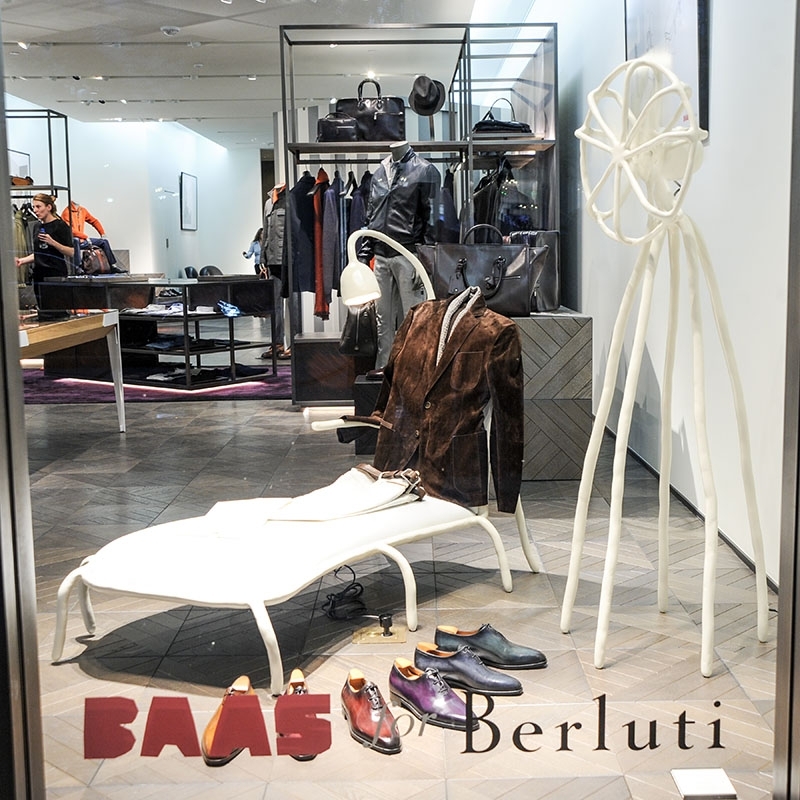 Baas—the Design Miami designer of the year in 2009—and Berluti had been working on the collaboration for about a year. Following the in-store event, the celebration continued with a private dinner at the de la Cruz Collection hosted by Rosa and Carlos de la Cruz and Pietro Beccari, the CEO of Fendi. For party pics, head on over to WWD or Vogue.